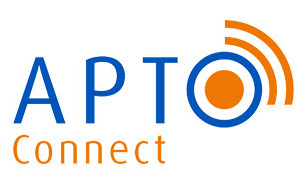 APTO Connect is a full-service contact centre and telephone answering service company led by a highly experienced leadership team with many years of call centre and customer contact management ownership. We are committed to excellence. We deliver tangible results to our clients. We employ qualified and dedicated people. We have successful and proven processes – from the back end to customer interface and follow-up. We understand the importance of superior customer service while respecting the “bottom line”. Think all call centre providers are the same? APTO Connect is different. We are “Connected” to our Clients’ needs. We are Connected to what we need to do and have in place in order to deliver the high levels of quality that our Clients expect and at the same time maintain a positive and engaged work environment for our Apto Connect Agents. We Connect with our Clients, the Customers we serve, our Employees and our Community.